“Never cook when you are angry or grudging because the dishes will be bitter”. This was what Madam Ambrose Krishnan used to preach to her children. She was a gregarious person, and always more than willing to share her food, recipes and knowledge to anyone who had an interest. To her, the most important ingredient in cooking is the love that one puts into the dish.Madam Krishnan’s family hailed from Pondicherry, a French colony in South India, which was why most of her dishes had some French influence. Her husband’s family was from Kerala, South India and she had to learn Keralite cooking to please her in-law’s palate. Since young, Padma and her siblings had the privilege of enjoying choice cuisines from both Kerala and Pondicherry. The recipes in this book are mainly from Madam Krishnan’s repertoire of recipes, and Padma also shares some recipes that are exclusive to their family. Also included in the book are some recipes that Padma has modified and improved to give the traditional recipes a new twist and also to suit the tastes of the younger generation. 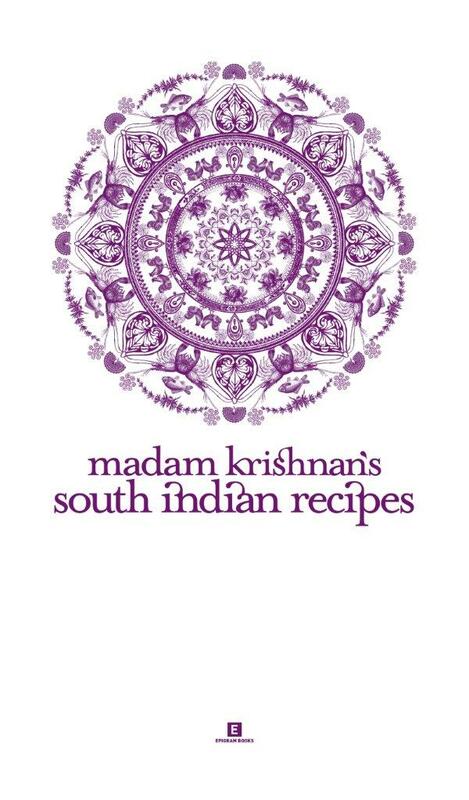 This book of South Indian recipes is compiled by Madam Krishnan’s daughter, Padma. In publishing her mum’s recipes, she hopes to preserve the South Indian heritage, so that the future generation can enjoy traditional, authentic South Indian dishes. Madam Krishnan’s South Indian Recipes is part of Epigram Books’ award-winning Heritage Cookbook series, which showcases the best of Singapore’s major cuisines through authentic family recipes.